Travellers will be hard pushed to find an island nation quite like Japan. It’s where densely populated cities shimmer in bright lights against a backdrop of national parks, shrines and temples, and as a result, there are many places to go in Japan that will bring variety to any luxury trip. Its capital Tokyo is well known for its skyscrapers, pop culture and an abundance of shopping experiences. But with 6,852 islands (of which 430 are inhabited) there is so much to see in, around and beyond the capital. The four main islands, from north to south, are Hokkaido, Honshu, Shikoku, and Kyushu; Honshu is the largest and referred to as the Japanese mainland. With a rich diversity of landscapes and experiences to be discovered, and a uniquely complex and layered, even if at times challenging culture, Japan offers something for everyone from sprawling lakes and mountain views to vibrant temples and technicolour cityscapes. 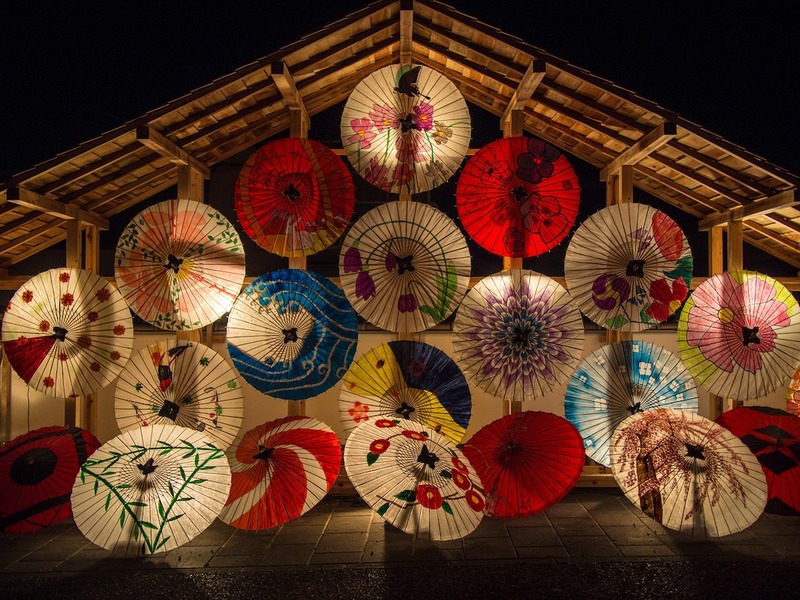 Here’s our selection of the best things to do in Japan, with plenty of luxury included. Don’t miss cherry blossom season known as Sakura – a time when Japan is transformed into an oasis of pinks and whites blooming in the trees before your very eyes. The blanket of pinks can be viewed in many locations across Japan, starting with the first blossoms in the south to the final flowerings in the north, so you will need to time where and when you visit accordingly. Dates change slightly each year, and a certain amount of guesswork goes into forecasting when the country will be in bloom, but the forecast for 2018 is from March 29 to April 4. 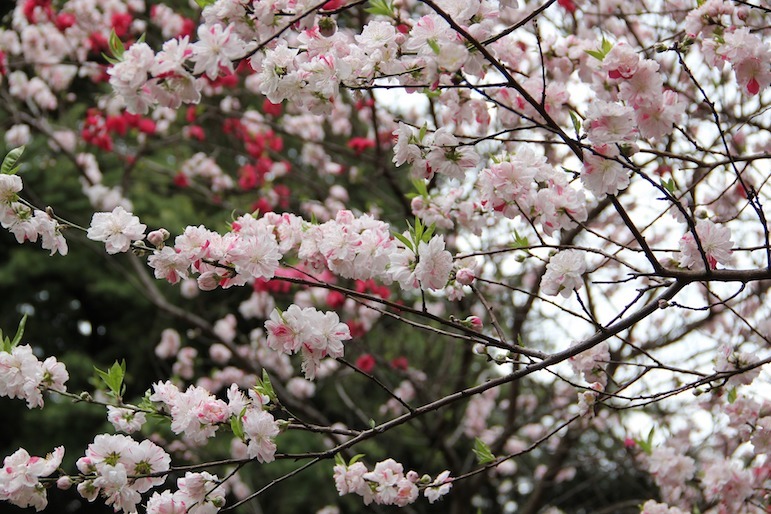 Before you head for a hanami (viewing) point, stock up on blossom infused drinks and snacks for a picnic beneath the trees to indulge the seasonal philosophy of eating, drinking and being merry. Mount Yoshino, in the southern central Kansai region of Japan, is the most famous location for cherry blossom spotting, and unsurprisingly the busiest. If you’re in Tokyo, Shinjuku Gyoen park in the heart of the city is a great place to soak up some nature and the party-like atmosphere. Home to over a thousand cherry trees, the park features both early and late blossoms, so the sakura season lasts longer here. Other great places to go in Japan to experience this seasonal event are Himeji Castle in the Kansai city of Himeji, the Fuji Five Lakes in the central region of Chūbu, and Kenroku-en Garden, in the city of Kanazawa. From vibrant pinks to earthy hues, we move onto one of Kyoto’s top sights, and for very good reason. 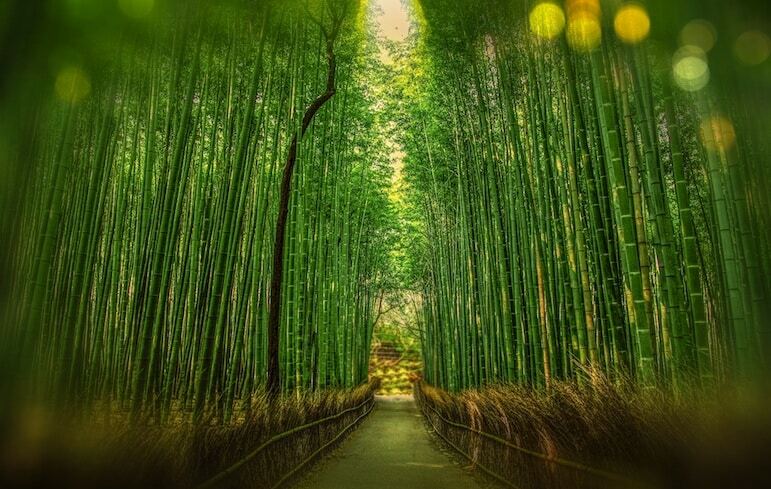 Stalks of emerald green bamboo tower above as you wander through Arashiyama Bamboo Grove, and although it’s one of the city’s most photographed sights, it still retains an other-worldly enchantment. In fact no one photo will be able to encapsulate the true wonder of this nirvana which is also home to pandas. Nishiki Market in downtown Kyoto is home to bizarre and delectable ingredients that are typical in Kyoto’s cuisine. From barrels of pickled vegetables to wasabi salt skewers, a visit to this market is sure to awaken your senses. Before you leave, stop off at Aritsugu – reportedly home to some of the best kitchen knives in the world. Take your pick from all-rounder, sushi or vegetable varieties and receive friendly advice from staff on the best way to care for your new purchase (you’ll need to check/declare your purchase with your airline before taking it home). And of course, it wouldn’t be the same without sampling the ingredients once they hit your plate. If you like your food with an entertaining twist, Le Musée in Hokkaido blends modern and cutting-edge cooking – but it will be hard to decide whether you should photograph or savour its artful dishes. Another great way to sample traditional Japanese food is a bento box, filled with delicious goodies including sushi rice, noodles and fish. For an affordable introduction to the lunchtime favourite, make a reservation at Akasaka Kikunoi, in Tokyo. The restaurant offers an exquisite tasting menu in miniature for £45 and is the perfect way to acquaint yourself with Japanese cuisine. Home to a curious collection of items from anime souvenirs to seemingly space-age electronics, shopping at Akihabara is not your average outing. 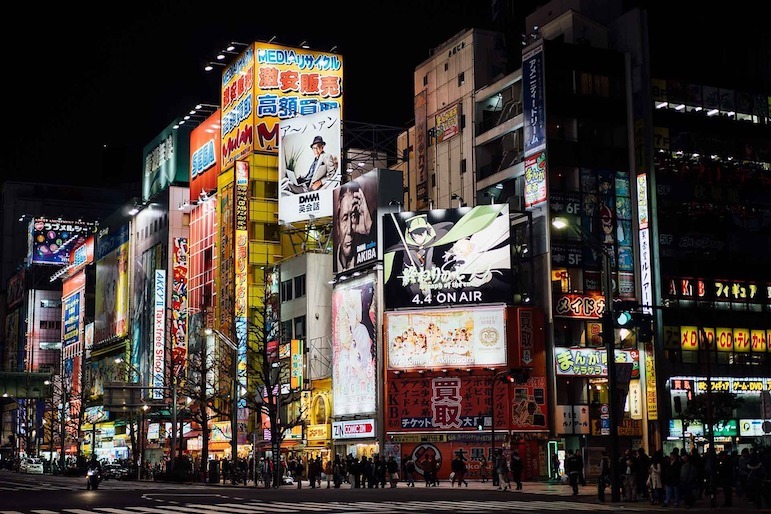 Akihabara, in Tokyo, is known as an electronics town and is a major hub for all things quirky, including the iconic anime range of cartoon characters. Ginza is a sleek shopping district in Tokyo, but if you’re searching for designer bargains Japan’s outlet malls should be your first port of call. With more than 30 outlet malls, you have numerous opportunities to give your arms a workout. If you are something of a trendsetter, Japan is the place for alternative fashionistas to add to their collection of quirky finds. Outside of the city, Kitakore is a mini mall which stocks items from young designers who produce one-offs for the likes of Pharrell Williams, Lady Gaga and Frida Giannini – Gucci’s former creative director. For chic looks, Xanadu offers a selection of handpicked items from store owner Tatsuro Motohashi, who insists on securing the very best designs worthy of the pages of Vogue. Open Friday to Wednesday, edgy pieces such as oversized clutches and studded bracelets are commonplace, from Japanese brands such as Roggykei and FEAR. No visit to Japan would be complete without visiting one of the country’s temples. With more than 2,000 temples in the Kyoto region alone, these sacred sites are a central part of the culture, many have been designated as UNESCO World Heritage Sites, and are among the most popular places to go in Japan. It’s difficult to choose just one to visit, but Kotokuin Temple in Kamakura ranks high on the list, owing to its most famous bronze resident, the Great Buddha. Built in the 13th century, the Buddha’s face is a picture of contentment, serenity and compassion – three key ingredients for your travels in Japan. 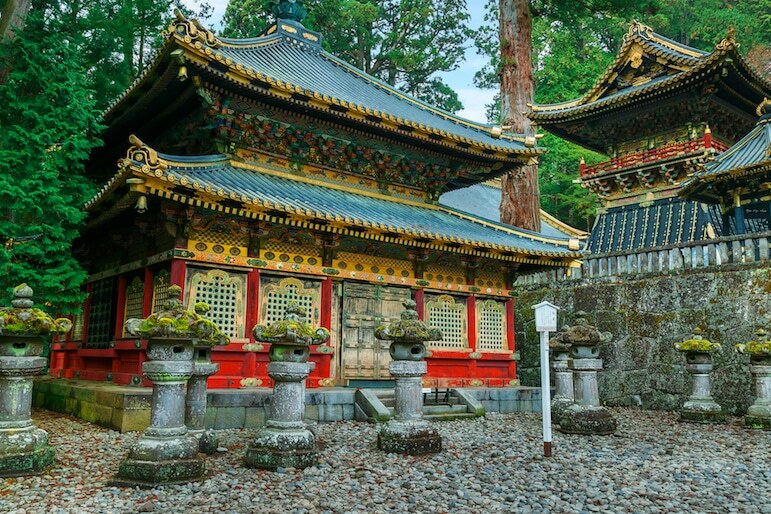 Meanwhile, Nikko’s Toshogu Shrine is considered Japan’s most opulent and elaborate. The World Heritage Site is dedicated to Japan’s most powerful shogun, Tokugawa Ieyasu. Laden with more than 2.4 million sheets of gold leaf, the temple is set within a national park, offering visitors a unique blend of opulence, nature and spirituality. One of Japan’s best-known temples is Kiyomizu Temple in Kyoto. The site’s location on a steep hill affords beautiful views of Kyoto. The pathway to the shrine is lined with stalls where you can up some gifts for home, but the real treat is at the top, where you can relax in the open air pavilion and enjoy food with a view. Within the grounds is the smaller Jishu Shrine – dedicated to the god of love, so definitely one to visit on a romantic break. 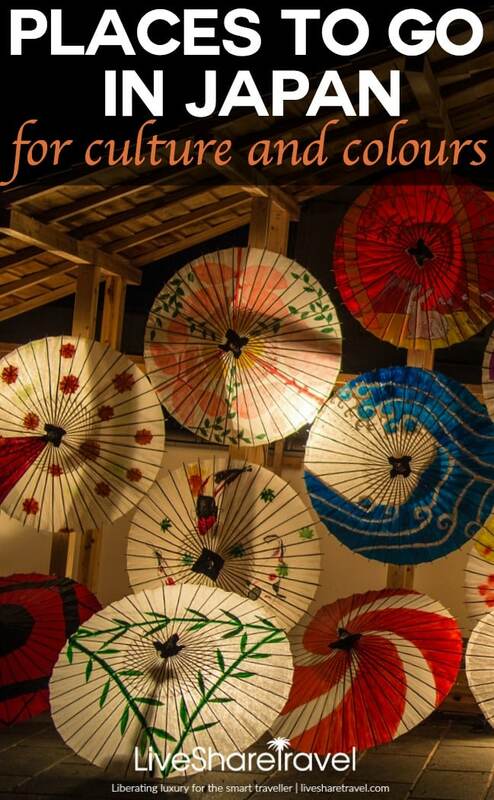 Already visited Japan? Share your top tips with us here.